The Connect to Women Mentoring Conference was created to build community by developing women's skills, confidence, and expanding their network. 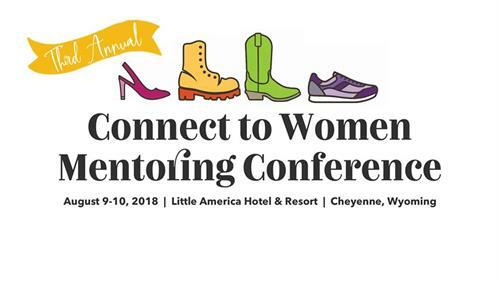 The conference offers dynamic presenters, professional development workshops, and networking opportunities celebrating professional women across Wyoming. Best of all, attendee feedback guides conference planning so you can be sure to enjoy the most dynamic, thought-provoking, and inspiring two days yet! ARE YOU SABOTAGING YOUR OWN SUCCESS? *This ticket is valid for all events August 9th and 10th. Please print and bring with you for registration.